to take home for their own personal use over the 5 year guideline period. 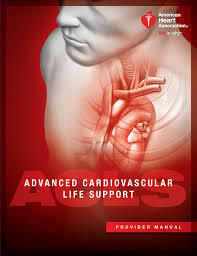 The required student text for the classroom-based Advanced Cardiovascular Life Support (ACLS) course and renewal course. Full-color softcover, 172 pages, 8 1/2" x 11", plus the ACLS Precourse Preparation Checklist Card and the 2-card Advanced Cardiovascular Life Support (ACLS) Pocket Reference Card Set (#15-1005). Based on 2015 American Heart Association Guidelines for CPR and ECC. 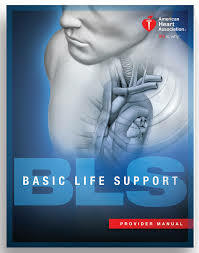 The required student text for the classroom-based Basic Life Support (BLS) for Healthcare Providers (#15-1010) course and renewal course. Full-color softcover, 68 pages, 8 1/2" x 11", plus a pocket reference card. Based on 2015 American Heart Association Guidelines for CPR and ECC (#15-1010). This is the required student manual for Pediatric Advanced Life Support. Based on 2015 American Heart Association Guidelines for CPR and ECC.